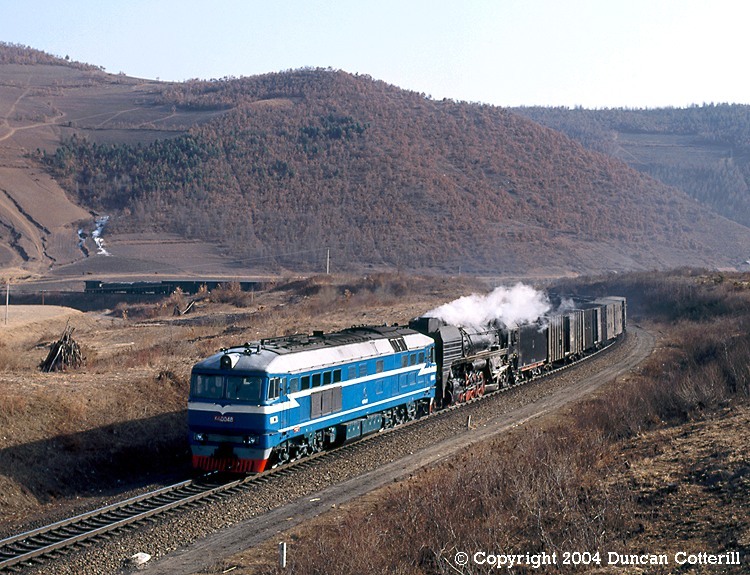 In 1992, a Mudanjiang DF8 was regularly employed piloting QJ hauled freights on the climb from Modaoshi on the line east to Xiachengzi and Suifenhe. DF8 0048 was piloting QJ 2995 on a Mudanjiang to Jixi freight above Modaoshi on 1 March 1992. The steam crew were ensuring they got their coal economy bonus by letting the diesel do all the work.